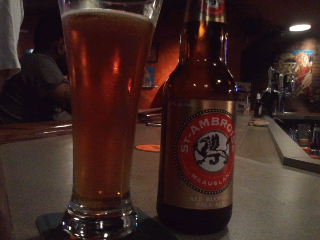 St. Ambroise Pale Ale! It was nice catching one of these at the bar tonight. A bit warm, and had a sweeter taste than I remember because of that, but still a comfort PA. Love my Pale Ales!